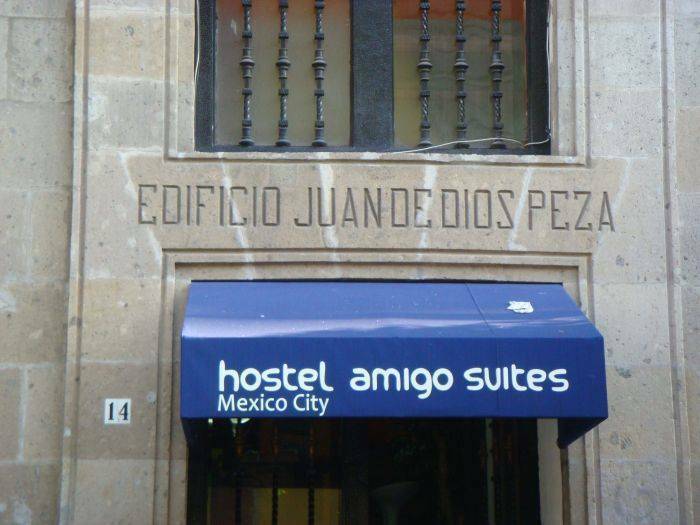 Hostel Amigo Suites, sister hostel to the original and famous Hostel Amigo opens its doors in 2011 with the best facilities in Mexico City. The place was designed with private rooms and small dormitories, all with private bathroom inside the room. They were planned with travelers like you in mind, so that you can find the comfort and privacy you need. 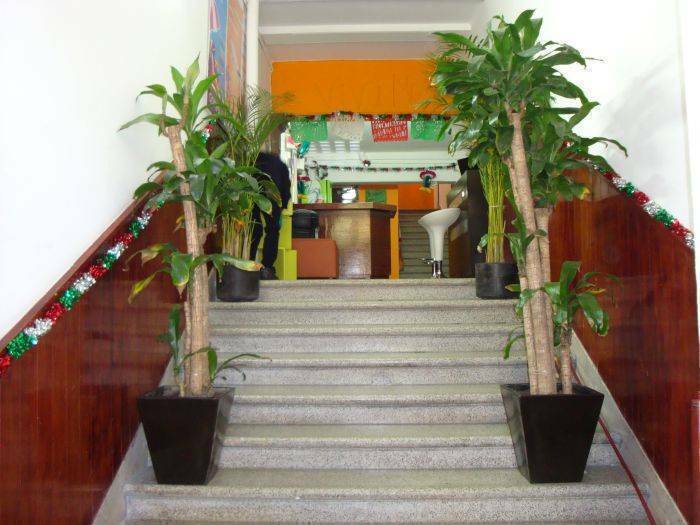 Our facilities include different types of rooms: 3-bed and 4-bed dormitory rooms with private bathroom, rooms with a double bed and rooms with 2 single beds (all of these have private bathrooms and a television set). We also have three suites, each of which has a private bathroom, a television set and a kitchenette. 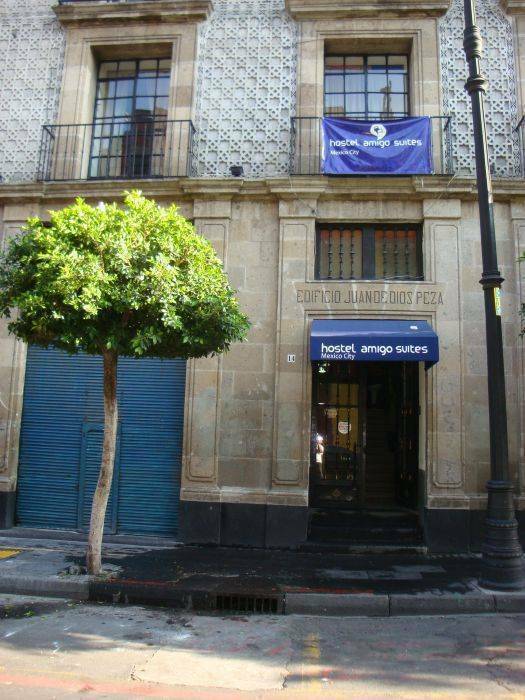 We are located just two blocks from the main plaza in the heart of Mexico City and three blocks from two Metro stations. The hostel has a terrace with a bar on the roof of the building, where you can meet up with your friends and tell each other about the day’s adventures. We also have a solarium and hammocks so that you can rest up after having enjoyed the city. 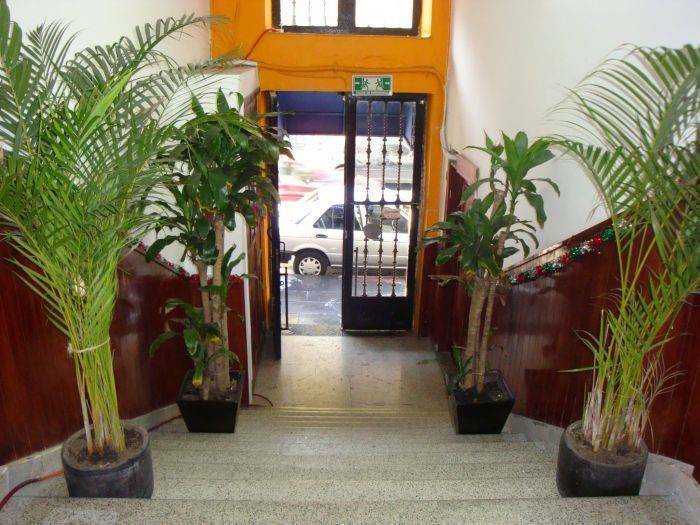 As you can tell, we have everything you need to make your trip to Mexico City an unforgettable and comfortable experience with us. We also provide 3 free tours, anthropology museum tour, downtown walking tour and markets tour. The tours are tip based so a tip to the guide is optional. 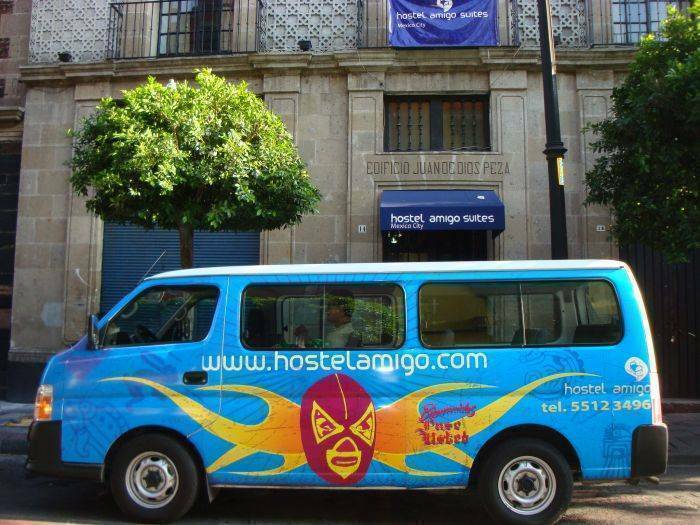 We have also some tours that are not included in the price, Teotihuacan tour (the pyramids), Xochimilco Tour (The floating gardens) and our famous tour to the Wrestling. This will complement your trip to Mexico City. Come and stay with us to enjoy a great time in the City and meet amig@s from all over the world. See you soon amigo and welcome to Mexico!!! We are located in the street Luis Gonzalez Obregon No. 14 this is 2 blocks exactly behind the Cathedral. Very important: this street is only one block long, it is the continuation of Republica de Cuba and San Ildefonso Street, this is because some taxi drivers may not know the street but just tell them that is the continuation of those streets and it will be fine. Arriving by metro, The closest metro station is Allende on the blue line. When you go out from the station walk against the car circulation, when you reachRepublica de Chile street turn left, continue 2 blocks until you reach Republica de Cuba street and turn right, walk straight and after a plaza in your left side and crossing Republica de Brasil, the street that you are walking (Republica de Cuba) change the name into Luis Gonzalez Obregon, just walk a few meters more and the Hostel is going is in your left side. 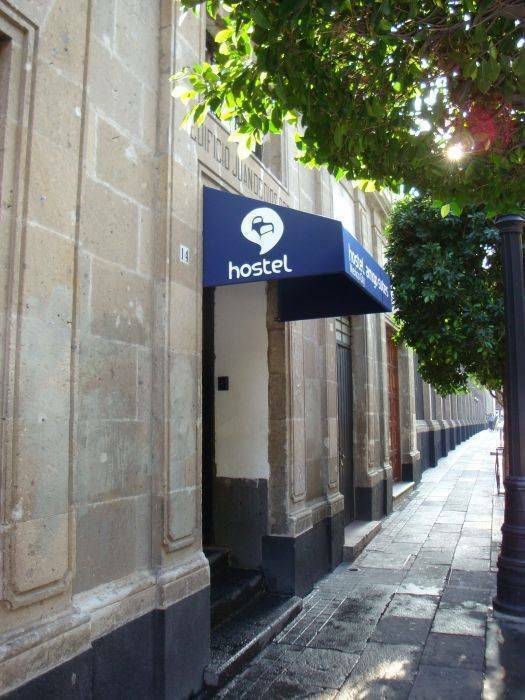 If you arrive to the metro station Zocalo go out from the station to the main plaza, stand facing the cathedral and walk to the left, you will find Republica deBrasil street, walk 2 blocks though that one and turn right in Luis Gonzalez Obregon, the hostel is on your left. Arriving by taxi: Just tell the taxi driver the address and the note that is the continuation of Republica de Cuba and San Ildefonso just behind the Cathedral inDonwtown. If you are staying 3 or more nights enjoy our Free Airport Pick up. Email us for details.